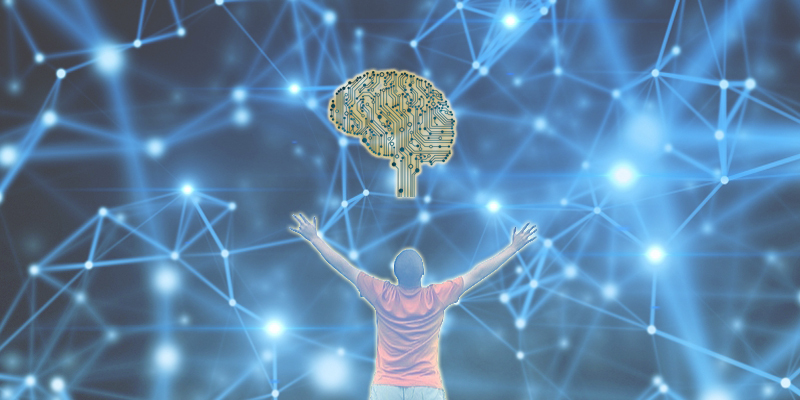 AI can help you live a life of wellbeing! Just a few years ago, it would be hard to imagine just how significant artificial intelligence would be for our daily lives. These days, intelligent systems are powering world’s largest search engines, helping us sort never-ending heaps of data into meaningful categories, and can understand most of what we are saying and even translate it into a different language. This is partially a natural consequence of the increase in computational power and higher availability of very capable hardware. But hardware itself may not be the biggest driving force behind many recent artificial intelligence breakthroughs. Our global move to the cloud has led to an incredible growth when it comes to the amount of data stored online. This has a profound impact on the development and use of AI. Modern Deep Learning networks can use collected information to learn and gain the ability to, for example, recognize spam email from authentic messages or organize pictures of trees based on their species. When taking a closer look at some of the most important subfields that are contributing toward the advancement of artificial intelligence by leveraging the power hidden inside large data sets, we can better understand where this exciting technology heading. Computers are naturally very good at solving certain problems. For example, even the cheapest computer that you can buy today could easily calculate a complex trajectory of a moving object, perform statistical analysis, or land a spacecraft on the Moon. But there’s a different set of problems that is difficult to handle even for the most powerful supercomputers in existence. Unlike the world of computers, the real world isn’t algorithmic and predictable. In fact, it’s rather messy. That’s why we have to heavily rely on intuition in order to identify objects, decide when we should visit a doctor, or what we should wear when we go out. Machine learning is a new approach to problem-solving that relies on programs that learn how to solve problems based on the data they receive. Machine learning is already successfully used in practice to identify faces of people, localize earthquakes, predict fluctuations on the stock market, or recommend users news topics based on their interests and previous likes. Machine learning would largely be impossible, at least on the scale we see today, if it wasn’t for the use of neural networks. They are approximations of the human brain composed of hundreds and thousands individual pieces of software and hardware. Each little neuron is responsible for a single, small task and its output gives the signal to higher systems. A good example is a network designed to recognize handwriting. At the smallest scale, individual neurons perform relatively simple operations, such as line curvature analysis. Their output is passed to other neurons, which operate under a different set of rules, until an output neuron is activated. The biggest downside to neural networks is their reliance on large data sets and their slow learning speed. Furthermore, their output is hardly predictable, and it can take a very long time to discover the reasoning behind a particular decision of a network. Just like neurons in large neural networks, complex AI system necessitates integration of many competencies, such as vision, learning, language, speech, planning, and others, to allow machines to fully act in an open-world environment. Integrative AI would allow humans to interact with machines on a much more personal level, and it would allow machines to learn and retrieve new information in a much more efficient manner. Unfortunately, only a little progress has been made in this area, and it will take many years of dedicated research before artificial intelligence systems will have the same perceptual ability as humans do. However, it’s inevitable that the consumer demand will drive the innovation and power new waves of research, which will help us get another step closer toward a more human vision of what artificial intelligence could look like. Despite consumers getting gradually more used to the world where intelligent systems are being able to perform increasingly complex tasks, we still have a long way ahead of us before we can even remotely approach complex thinking of humans.